Time for another Spanish curriculum review! 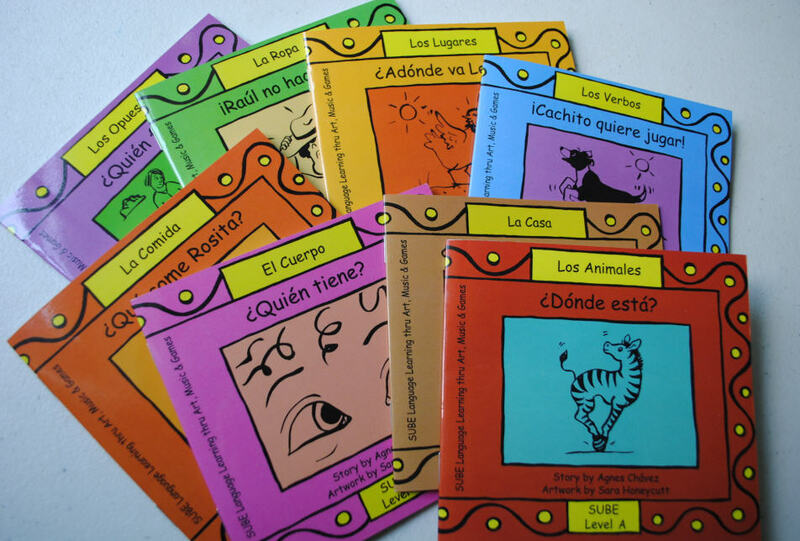 This one is for teachers of K-5th grade and introduces you to Sube Spanish. NOTE: This review is for a CLASSROOM curriculum. 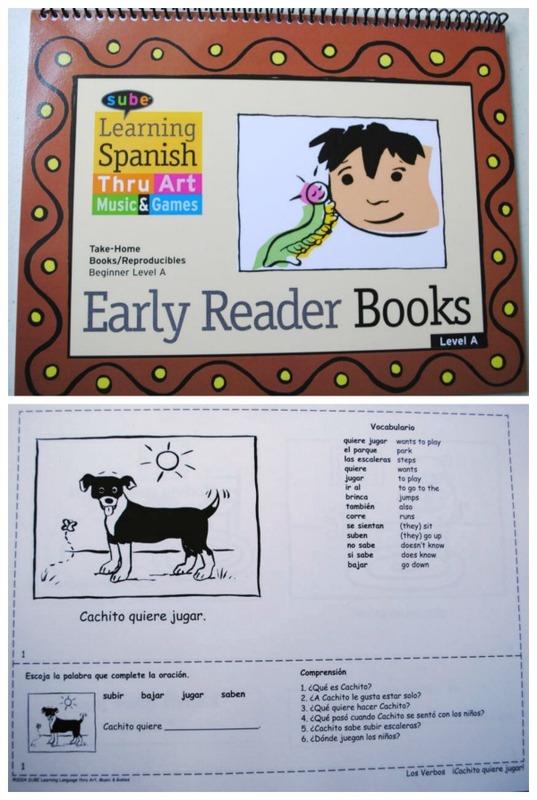 Spanish and ESL Homeschool Packs are available, and they include various elements listed here. This is a really fun program that focuses on teach Spanish through art, music, and games. Eighteen years ago, Agnes Chavez launched Sube and since then, Sube has been used to teach more than 414,000 students across the U.S. and 10+ countries. Teachers will find all of materials included in this program to be simple and activity based. There is a strong emphasis on reading, which I absolutely love and makes this particular course best used with students in 2nd through 5th grade in my personal opinion. However, teachers can certainly adapt the lesson plans according to their students' reading level and focus more on the games and songs with children in kindergarten and 1st grade. The Lesson Manual is very teacher friendly and comes with an overview that explains the methodology and how to get started and organize your lessons. 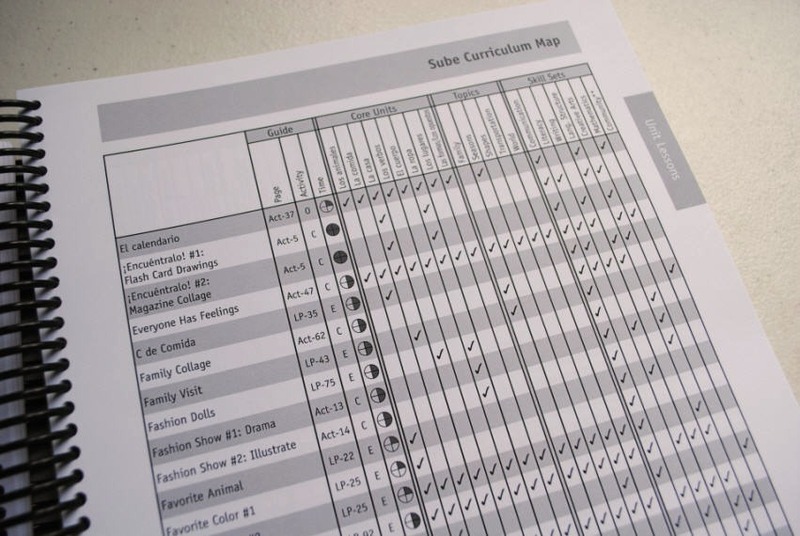 The Curriculum Maps are super helpful as they indicate the time it takes to complete each activity, the core units each activity supports, topics, and skill sets the activity develops. There's also a Curriculum Planner that provides a visual chart listing all of the activities included in the curriculum according to thematic unit. 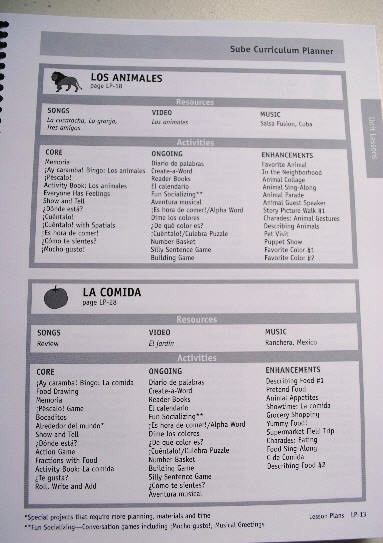 The planner lists the songs, video, music, and activities for each them. But if you'd like to make your own planner, that's okay because they included a blank one for you to copy and fill in. Sube includes a Take-Home Sheet for each theme, too. It tells parents what their child is working on each month with directions for things parents can do at home to support the classroom learning. There is a list of vocabulary words and phrases for the students to practice at home, and a section at the bottom where children have to describe the pictures (in Spanish!). The Lesson Plans themselves are very user-friendly listing the materials needed, what the teacher needs to do to prepare for the lesson, the actual lesson plan, and additional ways to enhance the lesson. ALL of the lessons incorporate a project, games, songs, and a video. However, I would recommend that each lesson be completed over the course of a week with your class meeting 3 - 5 times/week simply for the sake of reinforcement. While the basic plan can be completed in one hour, there are additional activities that are recommended for multiple class meetings. At the end of each lesson are unit tests, that can be given at the beginning or at the end of each unit to assess the student's prior knowledge or growth. There are two tests: One for the student to fill out and can be given to an entire class at once, and one for individual assessment that teachers can give and covers reading, speaking, listening and writing. My absolute favorite part of this curriculum is the little readers and the Reader Book. I think that seeing the written words helps students learn on several levels including language, spelling, and grammar. This promotes biliteracy. The program is very supportive of teachers using the curriculum and comes with a free one hour Skype training session. You can watch a short clip recorded from a session here. You can also download one complete lesson plan for free on their website. I would highly recommend this wonderful curriculum for Spanish teachers who are looking for less textbook and more interactive lessons that engage their students fully. 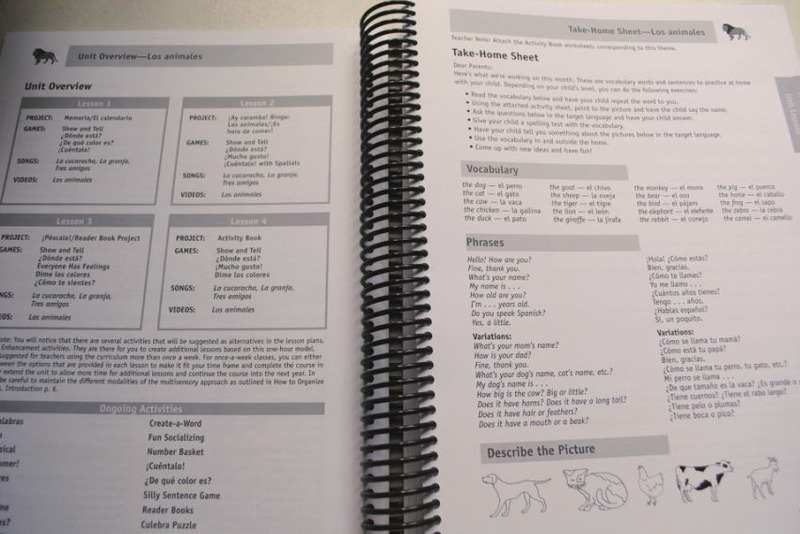 Disclosure: I received the Beginner Spanish Curriculum from sube for review purposes. All thoughts and opinions are my own. This looks like an amazing curriculum...thanks for the detailed review! I love those little reader books and all the materials that come with. I am so excited to put this on my list of materials for when my boys get a little older! You're welcome, Kali! Those little readers TOTALLY sold me on this program. Lol. It really is a fun one. Thanks for the great review; very informative! I realise that I'm reading this review long after you wrote it, but I have a quick question: I can't seem to find a link to the "Homeschool" version of the curriculum, only the supplementary packs (which only include CDs, not all the wonderful writing material etc.). Any idea where I can get hold of these? Thanks.